Getting success through offensive play and closing down his opponents fast, Verma’s tactics were clear - to establish his dominance even before Feng got a hold in the game. The Malaysian shuttler’s weak defence made things all the easier for Verma, who was trying to place his smashes to Feng’s right and succeeding most of the times. To pile more misery on his weak backhand Feng also had unforced errors slowing his flow, and before he could find any ground Verma had won the first game 15-2. The second game, though saw a more determined Feng, didn’t improve his returns any better. However, Verma’s positioning remained a crucial factor here, who was leaving acres of space beside and behind him while closing in on rallies, and Feng was quick to find them. Winning points boosted his confidence as the game progressed and he won the second game 15-14. The deciding game saw Feng’s unforced errors and weak defence coming into the fore once again as Verma could easily be seen picking the areas for smashes, and the Bengaluru star couldn’t really close the gap as Verma led the tie 1-0. Ahmedabad’s men’s doubles weren’t the favourites coming into this game against the pairing of Rang and Boe and the Bengaluru pair showed their class very early, as they mixed up their smashes to dismantle the positioning of Nandagopal and Reginald. The biggest weapon Bengaluru had in this match was their staunch defence and Reginald’s poor returns made it further easier for them to target their smashes. The second game saw a sharper display by the Ahmedabad duo but they looked too meek to finish off things when given the chance. The towering figure of Boe on the other side of the net wasn’t letting any of it pass and the Smash Masters’ only points came from instances when Boe was in the backcourt. Hardly had anyone thought that Gilmour could scare the life out of Ahmedabad while facing Tai Tzu Ying. Ahmedabad’s trump card, who had been the best singles player in PBL this season by miles, was kept more on the backcourt by Gilmour’s long serves. The Scotswoman had her position to perfection while dealing with the World No. 1 and it seemed to be working perfectly for her. Her plan was simple, not letting Tai stay in midcourt from where she could pick up her deceptive placements, and use her physicality also helped keep her jump smashes out of Tai’s reach. The Bengaluru star kept her shots either far at the backcourt or at the front, where Tai was uncharacteristically error-prone in the initial stages. However, all the successful plans looked to go down the gutter as Gilmour started to lose steam as the second game progressed and Tai stayed alive with her unparalleled stamina. The late comeback by Tai in the second game dispirited Gilmour as much as it encouraged the Taiwanese. Gilmour’s movements lacked the sting that was buoying her early on and before she could realize it, Tai had sealed the last game. Ahmedabad had a realistic chance of sealing the tie and who could they trust more than the mercurial HS Prannoy. The Indian shuttler had lost only once in his last twelve PBL games and looked confident coming into the game. Prannoy started quite positively against the World No.1, Axelsen, but the Danish ace could do everything, what Prannoy does, only better. Anything short on Prannoy’s return was faced by a fierce smash by 6ft 4inch man who hardly had to break a sweat to work his opponent. Prannoy’s points came mostly in the front-court lobs that stretched Axelsen, but the Danish mixed his shots really well getting the most accurate of angles in his cross-court smashes. There never seemed a doubt about the result, despite all the lead Prannoy took early on in each game. 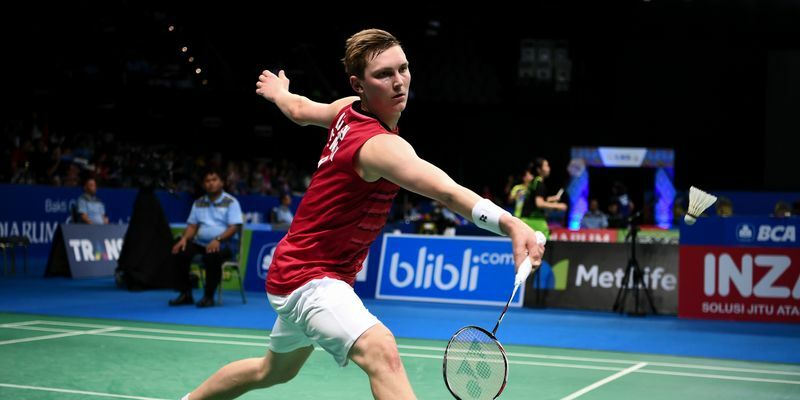 The Indian ace had no answer to Axelsen’s inside out smashes as well, which were equally lightning quick as his cross court shots, and the only chink in Axelsen’s armour was when he was out of his position. However, those occurrences were too rare for Prannoy to capitalize on as he lost two straight sets. Ahmedabad have never been very strong in their doubles game and the tie was hanging by a thread for them. However, with Rang tired after having already played a game earlier in the tie, the Smash Masters still had a chance to capitalize. Having a not so tall figure at the front-court in Reddy was also advantageous for the Smash Masters, but Juhl’s repetitive unforced errors and faulty returns saw them lose the first game 15-12. Though Rang’s smashes from the back-court looked too much to handle at times, Juhl’s brilliant defence kept Ahmedabad in the second game, while Him managed forced Reddy to commit errors with his smashes. The Smash Masters got their tactics bang on target in the second game, but Rang stood tall over them in the decider to target Him with his powerful smashes, which proved to be fatal for Ahmedabad.